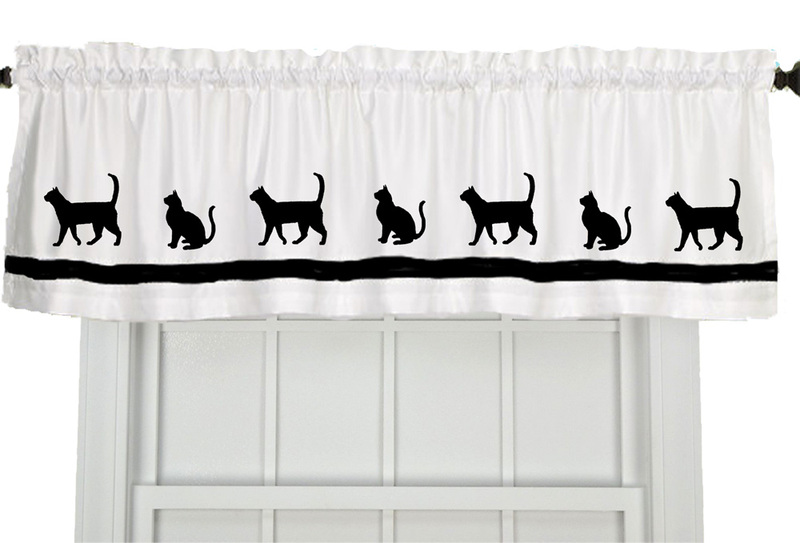 Our original design is on a handmade window valance with matching ribbon. Measures approximately 15" x 54". Machine washable. These valances can be used above store bought curtains that fit your window. Buy 2 or more for larger windows or contact us if you'd like a custom size. The image will typically match the color of the ribbon but we can make in just about any color you'd like. Please contact us for more options! Matching shower curtains and towels are available, too. Please contact us if you'd like more than one breed on your valance as we can do that, too! Please don't hesitate to ask should you have any questions!